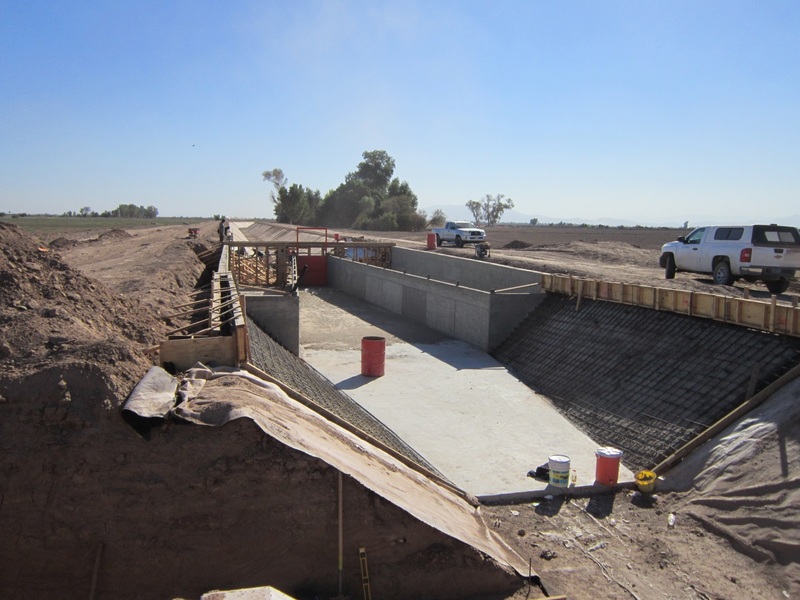 Combination structure (center gate plus long-crested weirs) under construction in Mexicali Valley 2012.
International training regarding irrigation project modernization. Such training has been provided to countries such as the Philippines, Mexico, India, Thailand, Kazahkstan, Vietnam, China. 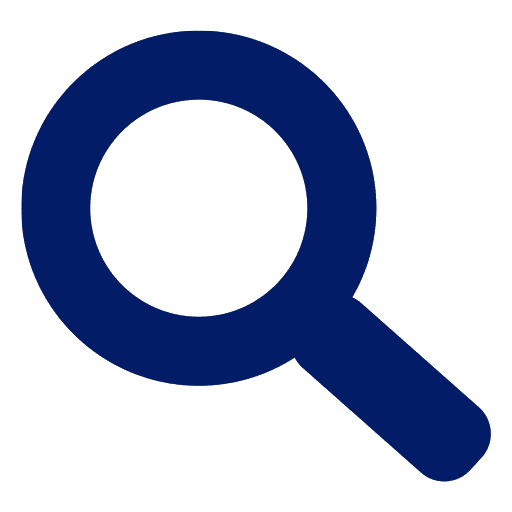 Assistance with design and specifications of large farm irrigation projects, such as center pivots for sugar cane in Peru, drip/micro on bananas in Honduras. 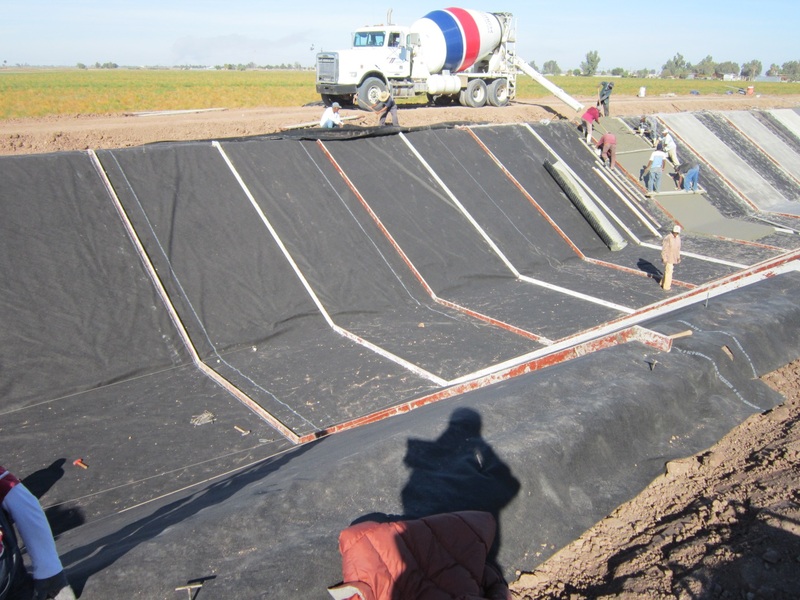 Design and construction implementation assistance for canal modernization projects such as the Mexicali Valley in Mexico. Training in the US for specialists from over a dozen countries. ITRC staff also participate with international colleagues in strategy sessions, research, and professional publications.